Dr. Guo is appointed as Adjunct Assistant Professor in the Department of Prosthodontics in the School of Dentistry at UNC-Chapel Hill, effective September 3, 2012. One of Dr. Guo's full mouth reconstruction cases was published in the Journal of Prosthodontics in October 2011, the official Journal of the American College of Prosthodontists (ACP). Dr. Guo is well trained in implant dentistry. 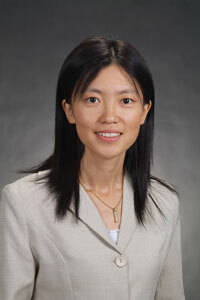 In addition to her specialty training in different types of implant restorations (including teeth-in-one-day procedures) during the prosthodontic residency training, Dr. Guo also completed a one-year fellowship program and received the Certificate in Surgical Implant Fellow from the University of North Carolina at Chapel Hill. Prior to moving to Northern Virginia, Dr. Guo was a Clinical Assistant Professor in the Department of Prosthodontics at UNC-Chapel Hill, where she has taught different aspects of prosthodontics, served as an assistant course director for the dental implant course, as well as practiced restorative dentistry in dental faculty practice. Dr. Guo has full trust and confidence from her patients, and is well respected by colleagues due to her fine skills and her passion in dentistry. Her philosophy in patient care is to care for patients by prescribing treatment planning that suits to each patient’s unique situation and providing quality care. Dr. Guo received her DMD from Beijing Medical University, School of Stomatology, China in 1998. She then completed her residency training in Prosthodontics and received master’s degree in Prosthodontics from the Peking University School of Stomatology in 2001, prior to her continued training in the United States. Dr. Guo is a Fellow of American College of Prosthodontists (ACP) and an active member of Academy of Osseointegration (AO) and American Dental Association (ADA). Dr. Guo actively attends and presents at conferences in prosthodontics and implant dentistry internationally. At her spare time, Dr. Guo enjoys photography and traveling.